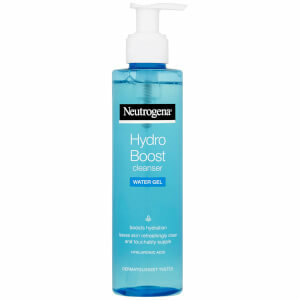 Introducing Hydro Boost Water Gel, a unique moisturiser with a light texture and the long lasting, intense nourishing power of a cream, that absorbs instantly and keeps skin hydrated all day. PR-016935 Aqua, Dimethicone, Glycerin, Dimethicone/Vinyl Dimethicone Crosspolymer, Sodium Hyaluronate, Ethylhexylglycerin, Dimethiconol, Cetearyl Olivate, Sorbitan Olivate, Laureth-7, C12-14 Pareth-12, Polyacrylamide, Dimethicone Crosspolymer, Carbomer, C13-14 Isoparaffin, Sodium Hydroxide, Phenoxyethanol, Chlorphenesin, Methylparaben, Benzoic Acid, Parfum, CI 42090. I was very excited when I bought this product. It came in a nice box set with an eye cream as well for a very good price. I liked the texture and feel in left on my face. However, after a couple of days of use I realized that I started developing a very itchy rash. I stopped using all kinds of products until my skin healed. I decided to give it another try and the same thing happened again. My skin is not particularly sensitive and I normally use all kinds of products without any problems. I thought Neutrogena was safe to use. This moisturiser is sooo lightweight on your skin. When the pot came I felt slightly disappointed at how small the quantity looked but honestly, you only need a small dab on each cheek to cover your whole face! It absorbs so quickly and really feels amazing. It also feels very cool on my skin (probably because of the gel) so i imagine it would be great if you have a little sunburn on your face! I don't normally review products but I was so pleasantly surprised by this moisturiser that I have to recommend it! You only have to use a little bit to cover your face, it glides on amazingly, And leaves your face feeling silky. Highly recommend! 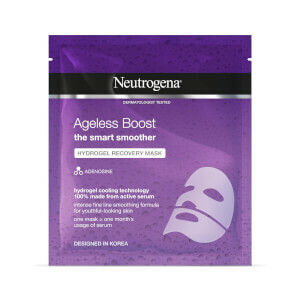 I just love this water gel , I'm in my 60s and lucky my skin is fairly normal so creams don't really suit me but wow this is just great I only use it at night but my skin looks fresher and feels softer and such a brilliant price in comparison to similar products made by higher end cosmetic companies, please Neutrogena never discontinue this. I have been using clarins hydroquench and clinique moisturisers for the past 6 months as my skin was so dry..forehead was flaking it was so bad. I was not keen on either and as they were pricey I have lurched Hydro Boost. The feeling on my skin it's just amazing..so light. ..absorbs fantastic and it's not sticky!!! I will be buying cleaners also..highly recommend!! 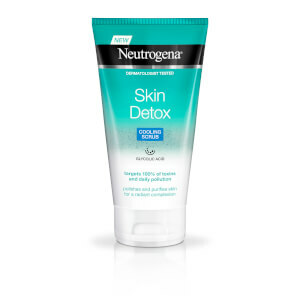 Neutrogena seems to agree with my skin, I use several of your products but have to admit only bought this item as it was on offer as I was happy with the other Neutrogena products I use but after using this for a few weeks now and noticing the difference it has made I will definitely be buying it again. Skin feels so much softer, easily absorbs in the skin and as it isn't perfumed its ideal for me. Super product! 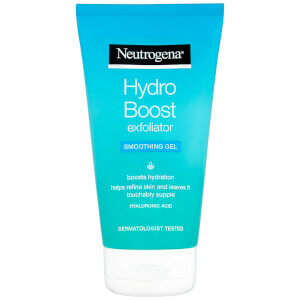 I have been a loyal user of Neutrogena products for many years now but am sad to say that this new hydro gel cream was a real let down. Although it feels lovely & refreshing on application, my face feels very dry after just a few hours. I have been using it for 5 days now & my face is very flaky & sore. Such a disappointment. So I've only been using this for 2 weeks now, and my gosh it works straightaway. I first used it at night and when I got up in the morning I was shocked to see the results. My skin was so shiny and so smooth it was glowing. And I normally suffer from spots/pimples and this isn't any exaggeration but since I've been using the water gel I don't get any spots/pimples.